Rock of Ages — which premieres today — is one long homage-slash-acid-flashback to the MTV generation’s most enduring, or perhaps traumatizing, memories from the eighties: ladies writhing on car hoods, men cavorting in spandex so tight Lance Armstrong would blush, and hair so teased and tortured it’d send Marie Antoinette herself to the chiropractor … in sum, it’s an amalgamation of every music video we watched on the sly in our youth (in the dark, at low volume, to keep our parents from storming in and repossessing the TV). 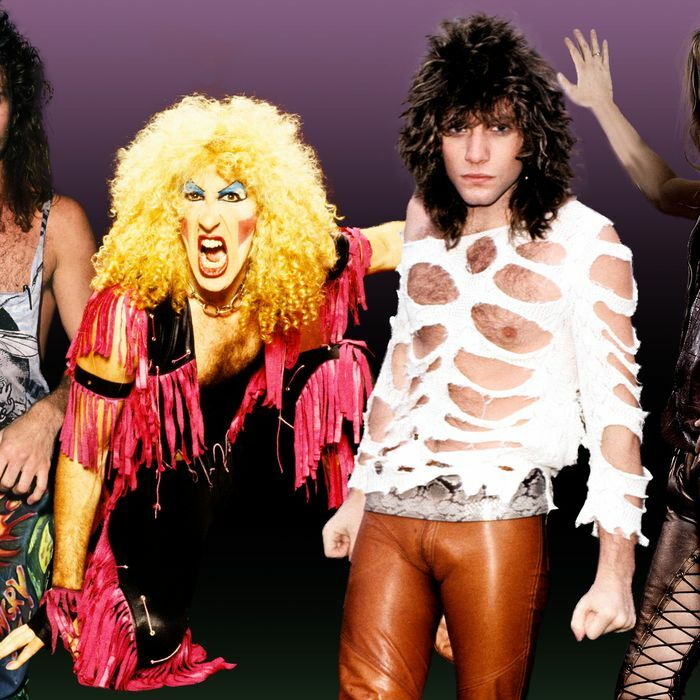 It would be remiss to let Mötley Crüise steal all the glory from Mötley Crüe and their comrades, so in the interest of giving credit where credit is due, we put together a scrapbook of our favorite hair-metal and glam-rock looks from who did Rock of Ages for real. You can practically smell the Aqua Net.